Robert Downey Jr. is an American actor and singer. 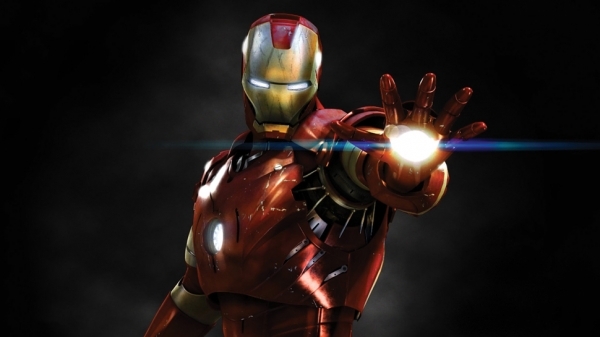 Robert Downey Jr. is much-respected actor in Hollywood. Being very popular from last four decades. He made his first film appearances and was a cast member on Saturday Night Live in the 1980s, but his growing success was marred by years of struggles with drug abuse. His father is Robert Downey Sr. who is an actor and Film maker. During his early childhood days he was surrounded by drugs as his father was drug addict. In 2007 he made his re entry to the Films and from 2008 he has hit the Hollywood screen and given blockbuster hits. According to Forbes, he is the best-paid actor between 2012 and 2013, with 50 million dollars for the first part of "Avengers". 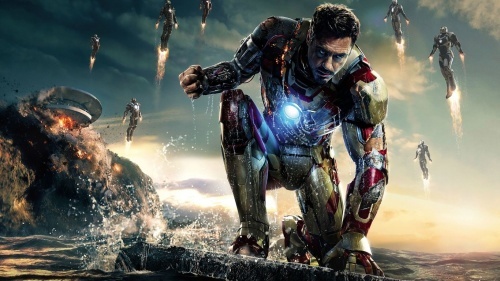 He will reprise his role as Iron Man in Avengers: Endgame, set for release on April 26, 2019. But today we will have an astrological view of the popular Robert Downey Jr. Biography of Robert Downey Jr. Birth Chart of Robert Downey Jr. When the hemispheres are considered in the Birth Chart of Robert Downey Jr. one can find four planets in the northern hemisphere and in the southern hemisphere we find six planets. This means that he is just a little bit more of an outward and socially oriented person instead of a private or more introverted one, something that is more emphasized by him having four of his personal planets, Sun, Moon, Venus and Mercury, in the Southern hemisphere. The see-saw patterns in the natal chart show that he is having a contradictory personality. The concentration of opposing energies has led Robert Downey Jr. to from stardom due to substance abuse, and his marvelous comeback, was a result of planets potential of completeness, now being one of the highest paid actors in Hollywood, is characteristic of this pattern. Looking at his astrological profile, one tends to think that his success comes from the fact that his life matches the characteristics of his planetary dominants. He is obviously marked by Fire, because his Sun is in Aries with Mercury and Venus, and these planets are supported by the Ascendant in Leo, a Fire sign also. He can rely on a nice Moon in Taurus, conjunct Jupiter, the planet of good luck and well-being. Here again, the planet twining Pluto enabled him to tip the scales in favor of his life drive, and gives him a higher than average resurrecting capacity. Whereas the opposition to Neptune suggests attraction to illicit drugs, it also heralds artistic talents, which are efficient because they are indefinable or even magnetic (Taurus-Scorpio axis). Because this additional opposition occurs in the 10th and 4th Houses, it influences Downey's career. But the powerful Moon-Jupiter conjunction also brings about an important and satisfactory family life. Beyond the glamorous veneer, this Aries-Leo with Fire planet is well-grounded (Taurus and Virgo) and enjoys the simplest pleasures above all. Future Predictions of Robert Downey Jr.
Robert Downey Jr. is an independent thinker. He value honesty and integrity in others as well. The positive traits of self- confidence and friendly nature of Robert Downey Jr.gives him tendency not to think more about the future. The harmony between sun and moon will result in satisfaction and balanced 2019. This year 2019, Robert Downey Jr. will be in comfortable demand and personally popular, and he will be able to achieve a decent balance between work and play, personal and professional life. Robert Downey Jr. will enjoy positive connections in year 2019. The positive connections will handle emotions successfully so he will face less stress on mind and body. He will be rewarded for positive attitude and self-confidence. 2019 will be tremendous year for Robert Downey Jr. personal magnetism. This year he might win major competition. This year is a good period for creative projects and joining with others in pursuing a common goal. He will find stability in his social life and more expect more financial security in year 2019. Chances are seen that he may solidify a romantic relationship or become involved with a mature partner. Support from older people or authority figures may come by way of solid advice or more tangible help. Robert Downey jr. will enjoy old friends’ reunion and a new sense of responsibility in existing friendships. Saturn transits square to your Sun from January 2019 forward and this will encourage him to straighten out neglected areas of his life. He will work out for self-discipline. In year 2019 he may get additional responsibilities and he will adapt too. The need to re-structure and re-organize his life will be apparent at some point during this period. Although he may not always see immediate results for his efforts. This is an excellent year in which he will advance projects revolving around communications – writing, speaking, selling, and so forth. His reputation may be enhanced through word of mouth. With Mars conjunct Saturn in his Solar Return chart, he will be more determined and hard-working than usual. Robert Downey Jr. will accomplish certain projects in 2019, will be beneficial for him in future. He may be called to the task for responsibility which has been avoided by him in past. Jupiter forms a trine to your Sun from January 2019 forward, and he will have a stronger than usual desire to improve, grow, and learn. This is a fortunate aspect that helps boost optimism and confidence, and he will be able to attract fortunate circumstances into his life as a result. Problems are easier to resolve. Higher education, religion, publishing, legal affairs, and/or foreign interests matters may get stronger in her life. He will enjoy a larger perspective on matters that was frustrating for him earlier. This is a year for solving problems and getting his life in order in significant ways. Robert Downey Jr. will receive plenty of cosmic support for making big improvements or lifestyle changes, although hard work is necessary. This can be a wonderful time for meeting new people or more thoroughly enjoying his current friendships. 2019 is quite gentle and mostly harmonious year that is less active than other years. Robert Downey Jr. should be patient and open to himself in gentle manner in order to attract both people and things. This is an excellent year in which to build and develop for the future. Advice For Robert Downey Jr.- Be patient, be receptive, enjoy the peace.